Try this refreshing and cooling foot soak scented with our foot blend of essential oils - peppermint with lavender and tea tree. 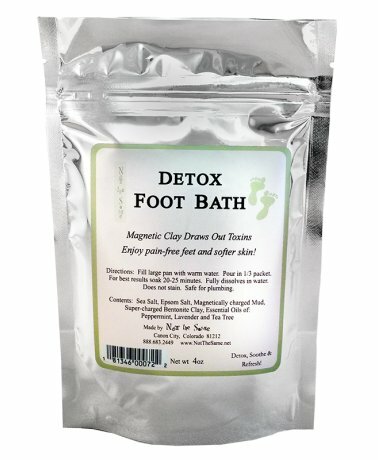 A 15 to 20 minute foot soak can have some of the same benefits as a full bath. Try this refreshing and cooling foot soak scented with our foot blend of essential oils - peppermint with lavender and tea tree. The four ounce packet offers four to six foot soaks.